May 29, 2017 will mark 100 years since the birth of John F. Kennedy, the 35th President of the United States of America. For an unusual perspective of JFK’s life, Trafalgar guests traveling across the French countryside on Wonderful France will enjoy the rare opportunity to dine with Emmanuel and his mother Poppy, the widow of Pierre Salinger who was White House Press Secretary to John F. Kennedy. Throughout his career, Salinger was also a US Senator and held roles as Press Secretary to Lyndon B. Johnson and campaign manager for Robert F. Kennedy’s 1968 presidential campaign. During this Trafalgar’s Be My Guest experience, Poppy shares stories of life alongside a political icon as guests savor Emmanuel’s finest home-cooked dishes. Trafalgar’s nine-day Wonderful France itinerary is priced from $2,150 per person. Price includes eight nights of accommodation in handpicked hotels, daily breakfast, four dinners (including Be My Guest dining with Poppy Salinger), must see sightseeing, VIP entry to many sights, expert Travel Director, and airport transfers. Departures begin on May 6, 2017. 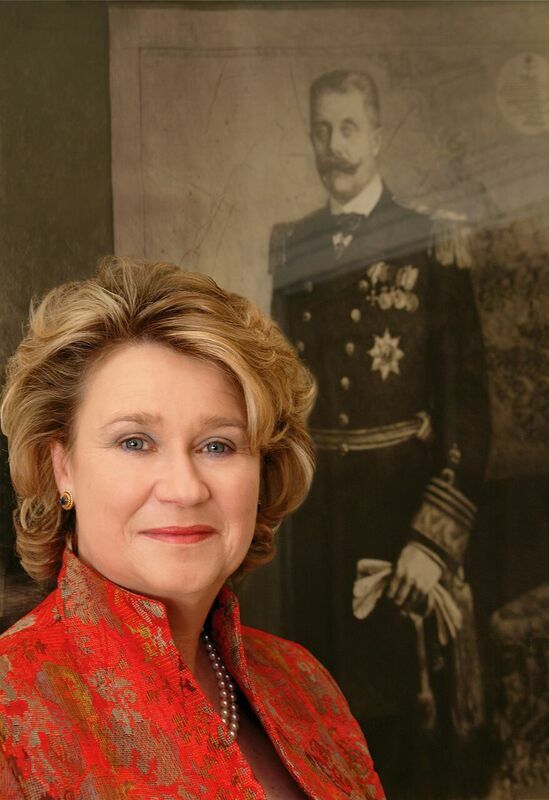 In an exciting exclusive for guests traveling on Uniworld’s Monarch Collection departures along the Danube, the river cruise includes a visit to the private quarters of Princess Anita von Hohenberg, great granddaughter of Archduke Franz Ferdinand, whose assassination led to the start of World War I, and descendant of the great Habsburg Empire . 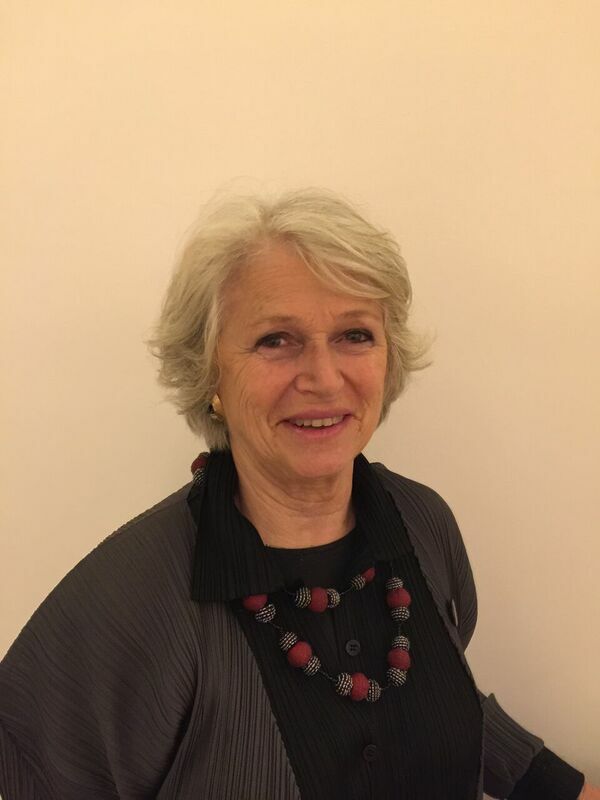 Princess Anita welcomes Uniworld guests to a champagne reception at her home at Artstetten Castle, where she regales personal anecdotes and stories of her family history. Then guests are free to explore the castle and its grounds, including the crypt where Franz Ferdinand and his wife Sophie are buried. This visit is available on certain departures of Uniworld’s Enchanting Danube or European Jewels luxury river cruises. Uniworld’s eight-day Enchanting Danube Monarch Collection cruise from Budapest to Passau is priced from $3,160 per person. Price includes onboard accommodation in a riverview stateroom on the S.S. Maria Theresa, all meals and unlimited beverages onboard, onshore excursions and all transfers on arrival and departure days. Monarch Collection departures begin on March 19, 2017. 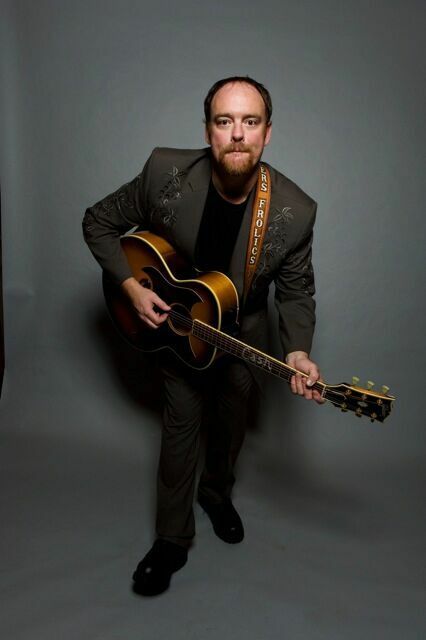 Guests traveling on Trafalgar’s 100% guest satisfaction rated Tastes and Sounds of the South adventure through the food and music of the southern states will enjoy a thrilling private audience with John Carter Cash, the only son of music legends Johnny Cash and June Carter. As part of this Trafalgar Cultural Insight, John, who is himself a singer-songwriter and award-winning record producer, entertains guests with his own original music, as well as a few numbers made famous by his legendary family. Later on in the trip, guests have the choice to visit to the Johnny Cash Museum to complete the experience. Trafalgar’s 10-day Tastes and Sounds of the South itinerary is priced from $3,418 per person. Price includes nine nights of accommodation in handpicked hotels, daily breakfast, four dinners, must see sightseeing, VIP entry to many sights, expert Travel Director, and airport transfers. Departures begin on February 20, 2017. Mardi Gras and Jazz Festival departures of this trip are also available. On Luxury Gold’s Southern Grace trip through America’s southern states, guests will tour the historic Studio B, a recording studio that was a key part of the Nashville Sound, and where many musical greats have laid down their hit records. While at the legendary venue, Luxury Gold guests have the incredible opportunity to work with professional sound engineer, James Dean Hicks*, in a 30-minute, choir-style recording session. Afterward the songwriter session, guests can take home their own copy of the recording as a one-of-a-kind souvenir. How many people can say they recorded a song in the same studio Elvis created so many of his hits? James Dean Hicks’ songs have been recorded by legends in the music industry including Charlie Daniels, Crystal Gayle, Merle Haggard, Johnny Cash, Conway Twitty, Billy Ray Cyrus, Jessica Simpson and Aaron Carter. Since starting out in Kentucky as a child star at 10 years old, more than 200 of Hicks’ songs have been recorded by country music’s all time hottest performers, he has had seven number one hits, won numerous awards, and his songs have been included in feature films. Luxury Gold’s nine-day Southern Grace itinerary visits Nashville, Memphis, Natchez and New Orleans and is priced from $3,675 per person. Price includes eight nights of luxury hotel accommodation, daily breakfasts and 13 additional Signature Dining experiences, sightseeing, luxury coach transportation, VIP arrival and departure transfers and a dedicated Traveling Concierge. Departures begin April 7, 2017. *Please note that if James Dean Hicks is not available then guests will meet another songwriter of equal quality. 2017 is going to be a big year for country and blues music fans, as it marks 40 years since The King passed away (August 16, 1977) and his legacy lives on, stronger than ever. Luxury Gold has launched a brand new and exclusive VIP Experience in 2017 which involves a private visit to Graceland hosted by George Klein, one of Elvis Presley’ oldest and dearest friends. The two met in the 8th grade, Elvis was the best man at George’s wedding in 1970, and they were friends until Elvis’ death in 1977. Insight guests will enjoy an after-hours tour of Graceland with George Klein, followed by a typical southern buffet featuring some of Elvis’ favorite dishes, served amongst his fabulous car collection. On an incredible evening of Be My Guest dining in Natchez, guests on Trafalgar’s Tastes and Sounds of the South trip will enjoy true Southern hospitality as the guest of Esther Carpenter at The Elms, her historic family estate, which dates back to 1804. This is no ordinary four-course dinner; Esther was named one of the “20 Best Women Chefs” by USA Today, and her unique experience as chef of the Four Seasons and training at the Michelin-starred restaurant Jacques Cagna in Paris makes The Elms one of the most talked about food destinations in the South. Trafalgar’s guests can enjoy her undivided hospitality and explore the historic estate during this amazing evening. The launch is so new that the name is still to be unveiled, but in the latest addition to Contiki’s 2017 brochure, a legendary Instagrammer will be leading Contiki’s new nine-day SNAP tour in Europe, part of its all new Limited Edition series. The perfect trip for those who combine a love of travel with a love of photography, SNAP will take guests into some of Europe’s most picture perfect spots while the experienced Instagram photographer will share tips and tricks for achieving the most like-and-share-worthy images and identifying once-in-a lifetime photo opportunities in the picturesque Instagrammable gems of Salzburg, Prague, Berlin, Venice and Ljubljana. Contiki’s nine-day SNAP Limited Edition itinerary costs from $2,265 per person and includes eight nights of twin-share hotel accommodation, daily breakfast and three additional meals, sightseeing, coach transportation, airport transfers, and an Instagram photographer, Trip Manager and Driver team. Departures take place on May 20, 2017 and September 9, 2017. On Luxury Gold’s brand new itinerary, The French Connection, which connects England, Guernsey, Jersey and France, guests will have the opportunity to attend one of Paris’ best loved cabarets, La Nouvelle Eve. The experience is made even more special with the opportunity to meet the Lianne Scrivener, the choreographer of the show during a private reception beforehand, and learn all about the workings of the revue, which blends music hall and cabaret in the perfect combination of wonder and entertainment. After the exciting audience with Lianne, guests will enjoy dinner and the best seats in the house. Luxury Gold’s 15-day The French Connection itinerary starts from $4,856 per person and includes, 14 nights of luxury accommodation, daily breakfasts and six additional Signature Dining experiences (including a Michelin-starred Highlight Dinner), sightseeing, all transportation, VIP arrival and departure transfers and a dedicated Traveling Concierge. Departures begin April 23, 2017. In a brand new and totally exclusive experience for 2017, guests of Trafalgar and her sister brands within the TTC family (including Insight Vacations, Luxury Gold, Uniworld Boutique River Cruise Collection, and Contiki) who travel to the Vatican on a number of Italian itineraries will be enjoy a special invitation from a curator of the Ethnological Museum, who shares their immense knowledge of the collection, before a private VIP Insider Experience, dining within the Vatican itself. This amazing experience involves guests being fast-tracked through a special VIP entrance of the Vatican Museums with a Local Expert, where they can admire the Papal art collection and enter the Sistine Chapel to admire Michelangelo’s masterpiece on its ceiling. After the museums close their doors to the public, the tour culminates with a special meeting with a curator of the Ethnological Museum, before the exclusive private dining experience in this stunning location. This experience is included on 2017 departures of Trafalgar’s Rome Explorer, Contrasts of Italy, Rome and Tuscan Highlights, Grand Italian Experience, Best of Italy, and Grand European itineraries. Prices start from $2,495 per person for the eight-day Rome Explorer itinerary. Considered the “Most Exciting Two Minutes in Sports,” the Kentucky Derby is the biggest day in horse racing across the US. The historic race has taken place on the first Saturday in May at the Churchill Downs race track in Louisville, Kentucky for the past 140 years. Insight Vacations guests traveling on the eight-day Splendour in the American Heartland itinerary will enjoy a guided historic walking tour of Churchill Downs to learn about the history of the Kentucky Derby and its past winners. Guests also get an insider perspective of racing with a private ‘Inside the Vault’ tour of the Kentucky Derby Museum with retired Kentucky Derby jockey and Louisville local, Charles Woods Junior. Woods has been a fixture at Churchill Downs since 1974, he won 748 races at Churchill Downs throughout his career, but never managed to snag a Kentucky Derby win! Insight Vacations’ eight-day Splendour in the American Heartland itinerary starts from $2,948 per person and includes, seven nights of luxury accommodation, daily breakfasts and five additional Signature Dining experiences, sightseeing, all transportation, arrival and departure transfers and a dedicated Travel Director. and their 30 award-winning brands, visit http://www.ttc.com.